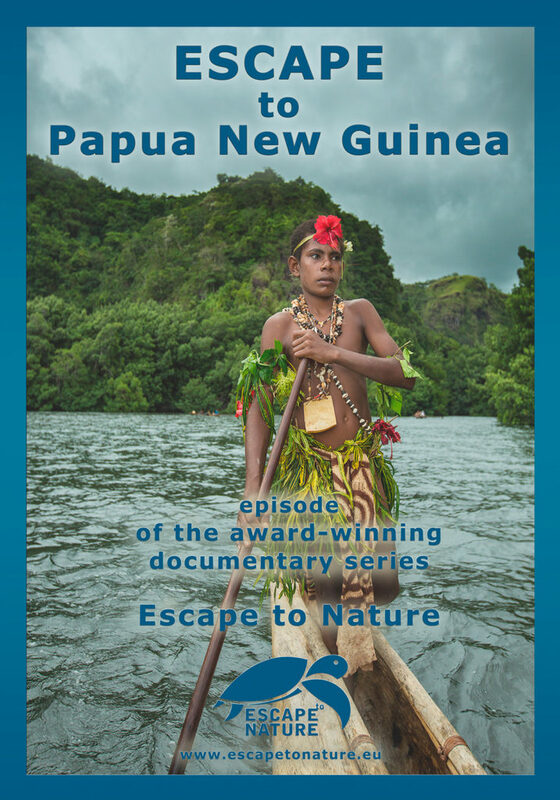 Episode 5 – The Mighty Sepik, the longest river of Papua New Guinea is known as the living anthropological museum. Local tribes remain very proud of their crocodile cult, only practiced today in a few villages. Each village has its own characteristic and very distinct crocodile pattern. We had the opportunity to witness these patterns carved into the skin of village men in a very painful and dangerous ritual. The atmosphere in Marab, a village hidden deep in the wild, is bursting with raw human spirit – the air is full of ancient mystery the and power of hypnotizing drums is palpable. Local men experience the ritual metamorphosis from boyhood to manhood, our camera capture this for the first time ever. On a small canoe we continue to travel through previously unexplored diversity, learning about rare cultures, their traditions and unique tribal art typical in this captivating part of Papua New Guinea. After experiencing life on the Sepik we move to neighboring islands, bastions of vast wilderness. While swimming with the sharks, turtles and other fascinating underwater creatures we discover coral reefs with one of the widest diversity of marine life in the world.